That said, when have any of the last several Raveonettes albums not had a dark side? Well, quite. Musically, Observator has a back-to-basics sound, with the same lush melodies and some noise, as always. It opens with pure, melancholic vocal harmony, and ends with a wall of sound. Familiar territory? 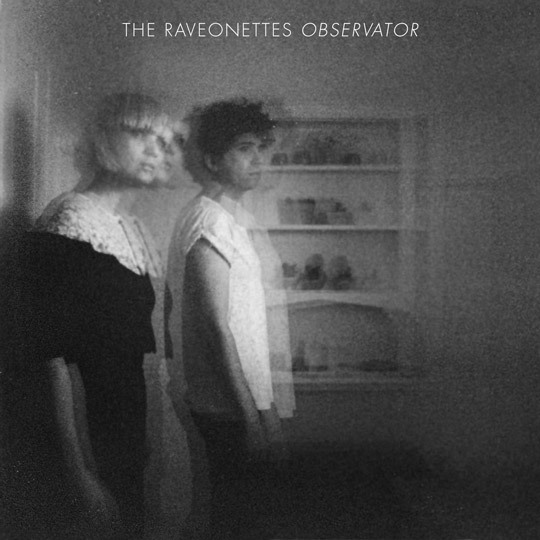 Sort of, but it’s by far the cleanest, purest, warmest Raveonettes album, with fairly unaltered guitars, simple beats, and some monstrously heavy piano, especially on “Observations,” the first and best single from the album. Others have a more original sound that makes for an interesting deviation. We end with “Till the End,” possibly the best wall of sound, harmonic noise-epic the Raveonettes have ever done – a song that could sum up their entire career. Tight melodies, punchy beats, chimey guitars, and waves of noise. It’s the Raveonettes at their best, and for me the best track on the album. It’s hard to believe that Sune and Sharin could put out yet another quality album just a year after releasing the achingly beautiful Raven in the Grave, but then they’ve never gone more than two years without an album. I don’t know how they do it, but they so deserve the Great Ballers status I accorded them with earlier. Observator keeps the ball rolling. Bonus part 2: The Raveonettes are coming to DC on October 6, playing the Black Cat as they always do. If you live in the area, go! This entry was posted on September 11, 2012 by Hassouni Efendi. It was filed under Great Ballers, Music, Pop, Rock and Roll and was tagged with Music, the raveonettes.